BDVA members include large industries, SMEs, research organisations and data users and providers to support the development and deployment of the EU Big Data Value Public-Private Partnership with the European Commission. BDVA focuses its activities on updating the multi-annual roadmap and on providing regular advice to enable the European Commission to prepare, draft and adopt the periodic Work Programmes, as well as on delivering Data Innovation Recommendations, developing Big Data Value Ecosystem, guiding Standards, and, facilitating Know-how exchange. 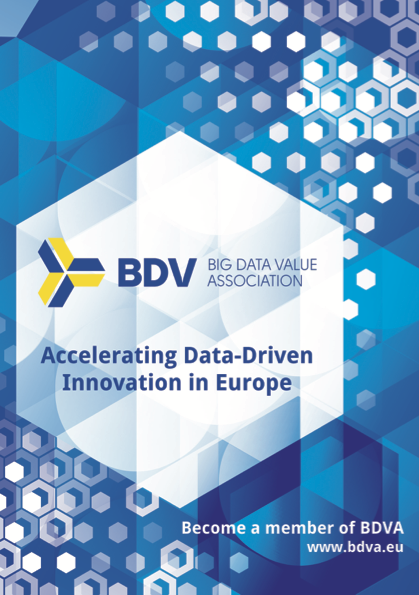 BDVA is open to new members to further enrich the data value ecosystem and play an active role. These include Data Users, Data Providers, Data Technology Providers and Researchers. Application for BDVA membership is done online. Apply for BDVA membership here.